This backpack is great for individuals in settings where they must be quiet. Great fidgets for classrooms, travel or home. Small enough to fit inside a desk or hang on the back of your chair. 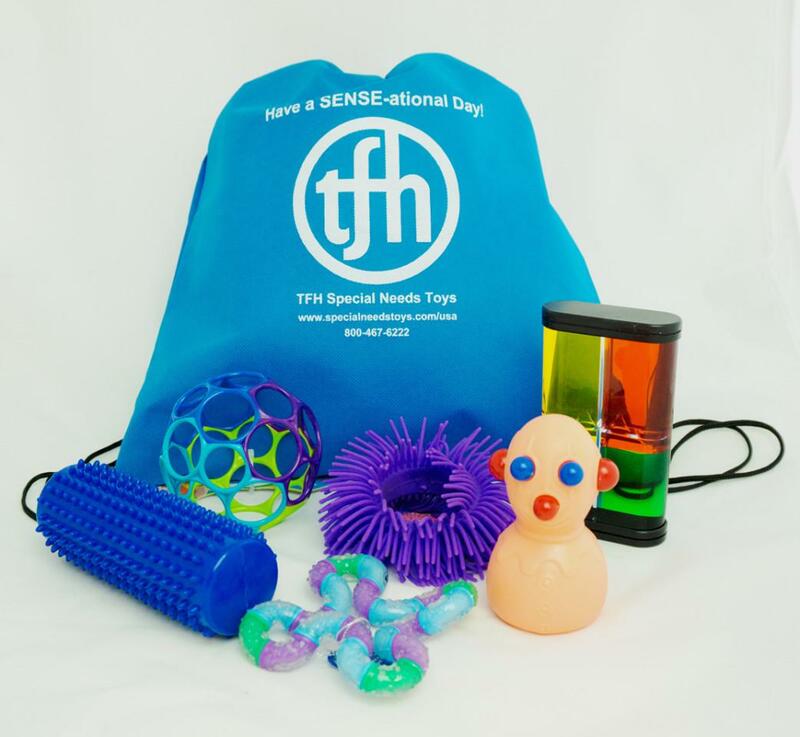 Includes 6 of our more popular "fidgety" toys that can be stored in the included drawstring backpack. Some items may be substituted due to product availability.